The course launches this fall. While most of us can recall being asked if we “knew our school books like we knew those songs”, it seems there are even more ways to master a knowledge of both. UC Berkeley student Preya Gill tweeted that her school recently approved a proposal for a course based around atl-R&B fave Frank Ocean, aptly titled “Brain Like Berkeley”. Gill, along with fellow second-year student Deborah Chang, started developing the course after being paired up as roommates and quickly bonding over Ocean's music. "When we found out that Berkeley accepts student-taught courses, we immediately saw the potential Frank Ocean’s artistry offers." The course will reportedly cover the singer's "artistic history, upbringing, background, musical influences, artist identity, and the way he challenges dominant social concepts such as toxic-masculinity and gender politics," Gill and Chang, who will also be instructing the course, told The FADER over email. According to Gill's recent tweets, even Ocean's family approves of the upcoming course. 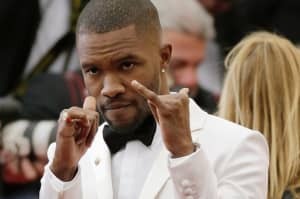 "Frank Ocean’s brother Ryan and mother Katonya have expressed their support for our course and even shared the tweet to their accounts," they said. The women say UC Berkeley students will be able to sign up for the course as of August on the school's website. As for the rest of us? "We will consider live streaming options and posting our course material online to share with the world!" Thumbnail photo by Jason Merritt/Getty Images.